Effective 2012, "Keystone Collections Group" will be the Earned Income Tax Collector for the Township. Act 7 of 2007 amends the Local Tax Enabling Act 511 of 1965 to make the following major changes to the Emergency and Municipal Services Tax (EMST). 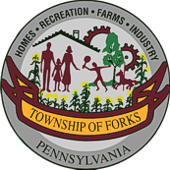 The tax is $52 per calendar year for all non-exempt persons working in the township. Any worker whose total income from all sources is less than $12,000 per calendar year is exempt from the tax. The worker must send the township a written claim for the exemption each year, with supporting documentation. The Local Services Tax replaced the Emergency and Municipal Services Tax. The purpose of the Local Services Tax is to collect a tax from all persons who work in the township and utilize the township's municipal services, including those persons who do not live in the Township. Please contact Maryann Kessler, the appointed LST collector, at 610-250-2250 if you have any questions. Tax bills are sent out from and paid to Northampton County. Tax bills are sent out in late January. If a mortgage company pays your taxes, it is the property owner's responsibility to send the tax bill to their mortgage company. The tax bill is discounted by 2% if paid by April 1st. If the tax bill is not paid in discount, the base rate applies until June 1st. After June 1st all unpaid tax bills have a 10% penalty added. Each year,township real estate taxes that are unpaid as of December 31st are turned over to Tax Claim at Northampton County. Tax bills are sent out in late June. The school tax year is a fiscal year running from July 1st through June 30 the following year. If a mortgage company pays your taxes, it is the property owner's responsibility to send the tax bill to their mortgage company. Please see tax bills for all due dates. To be eligible for the installment plan, the 1st installment must be paid by the 1st installment due date shown on bill. Each year, school real estate taxes that are unpaid as of April 1st are turned over to Tax Claim at Northampton County. An interim tax bill (supplemental bill) is an addition to the tax duplicate due to an improvement to your parcel. The county assessment office sends changes to local taxing districts. An interim bill is produced at the local tax rate and is reduced proportionately to the number of months remaining in the tax year. Interim taxes will have a different discount, face and penalty period than the original duplicate. $20/parcel - check made payable to "Anne Bennett-Morse"